Almost all of us must have experienced a terrifying feeling when out of nowhere your heart starts palpitating and beating out of the chest as if it’s going to crash any moment, and you panic whether you are having a heart attack. This precise feeling is known as heart palpitation or a rapidly beating heart, but in most cases it is always completely harmless in itself. 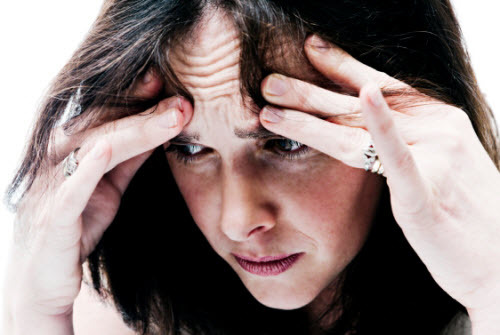 But recurring palpitations can be a sign of heart health problem that is triggered by anxiety, and it is more prevalent among people who suffer from nervousness and anxiety attacks. Heart palpitations can also be caused by skipped beats. Palpitations are confusing and distressing for most people, but this problem can be successfully controlled and treated with acupressure therapy that works by relaxing the entire body and increasing circulation throughout the body. As tension is released, you start to feel better physically and emotionally and gain a new perspective on the issues that underlie your anxiety and nervousness. 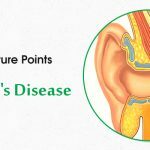 These acupressure points are deeply relaxing, and they often trigger a chain of new thoughts and insights that aid to overcome anxiety, nervousness and fear. TW 15 or Triple Warmer 15 is a frequently used acupressure point for anxiety treatment that helps to relax nervousness and palpitations in an effective manner. This point is termed the Heavenly Rejuvenation, and it is located on both the shoulders, midway between the base of the neck and outside of the shoulders, one-half inch below the top of the shoulders. In order to activate this point on both shoulders curve your fingers and place your right hand on your right shoulder and left and on the left shoulder. Firmly press the points with the help of the fingertips while taking long and deep breaths and keeping your eyes closed. It helps to reduce nervous tension, neck pain and stiffness and increase resistance to cold and fever. B10 or Bladder 10 a powerful acupressure point for anxiety disorder treatment that shows effective results right from the beginning of the treatment. This point is called the Heavenly Pillar, and it is situated one finger width below the base of the skull on the prominent muscle present one-half inch outside of the spine. In order to activate the point curve your fingers and place the fingertips on the ropy muscles on the neck. Press the region firmly while taking long, slow and deep breaths. It aids to relieve anxiety, anxiousness, nervousness, stress, insomnia, over exhaustion, heaviness of the head, eye problems, neck pain and stiffness and sore throat. P3 or Pericardium 3 is yet another functional point of acupressure treatment that is the best solution to the question of how to control nervousness, anxiety and palpitations. 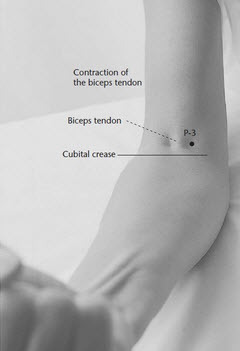 This point is also known as the Crooked Marsh, and it is found on the inside of the arm, at the lower edge of the elbow crease when the arm is bent. This point can be stimulated on both arms by pressing the point using the thumb for 1 minute while breathing intensely through the nose. You will feel your body releasing the stress and nervous tension. It helps to relieve anxiety, palpitations, nausea and wrist pain, elbow pain, and chest discomfort. 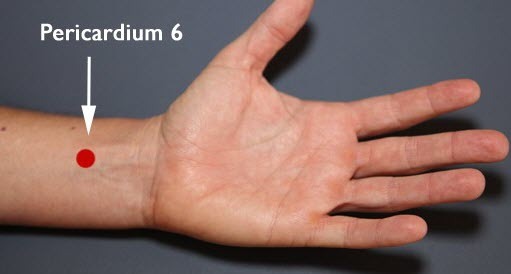 P6 or Pericardium 6 is another powerful acupressure point for palpitations treatment and helps in prompt recovery. This point is positioned in the middle of the inner side of the forearm, two and one-half finger widths from the wrist crease. Point P6 can be stimulated on both hands by applying firm pressure to the point using the index finger for 1 minute while breathing deeply through the nose. It helps to cure anxiety, nausea, and palpitation of heart and wrist pain. 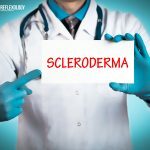 In addition, it is also beneficial for treating upset stomach, motion sickness, headaches and carpal tunnel syndrome. 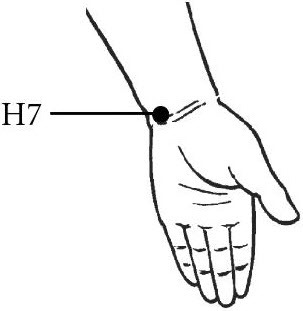 H7 or Heart 7 is a functional acupressure point that is an effective solution to the problem of how to overcome anxiety, nervousness and palpitations naturally. This point is also called the Spirit Gate, and it is found on the little-finger side of the forearm, at the wrist crease. This point can be activated by pressing the point on both hands using the middle finger for 1 minute while breathing deeply. It aids to treat emotional imbalances, nervousness, anxiety, palpitations, fear, and forgetfulness. In addition, it also helps to treat insomnia, cardiac pain, irritability, chest pain, epilepsy, and stupor. 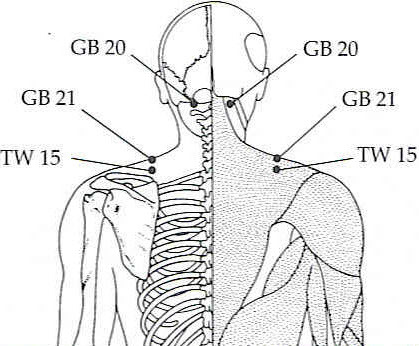 Acupressure point GV 24.5 or Governing Vessel 24.5 is a powerful point of acupressure and acupuncture for anxiety relief. 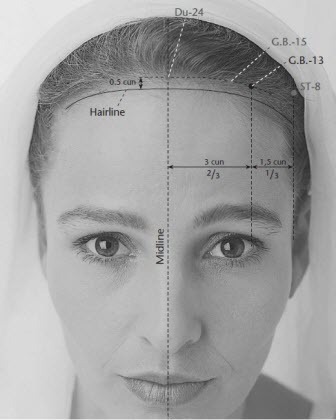 This point is called the Third Eye Point, and it is situated exactly between the eyebrows, on the curve where the bridge of the nose meets the forehead. This point can be stimulated by closing the eyes and bringing your palms together and putting it on the point. Use your middle and index fingers to gently press the point for 1 minute while taking long, slow and deep breaths. 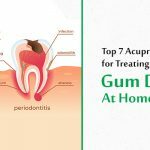 It helps to calm the entire body, relieve anxiety related symptoms, sleeping disorders, insomnia, headaches, eye problems, vertigo and dizziness and congestion of the nose. CV 17 or Conception Vessel 17 is one of the vital acupressure points for heart that helps to alleviate anxiety, nervousness and palpitation of the heart. 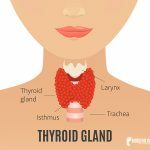 This point is termed the Sea of Tranquillity, and it is found in the middle of the breastbone, three thumb widths up from the lower edge of the bone. It can be activated by pressing the point firmly using the thumbs for 1 to 2 minutes while breathing deeply, slowly and evenly. It helps to soothe chest tension, emotional imbalance, nervousness, anxiety, anguish, depression and hysteria. It also helps to treat asthma, cough, and breast issues like insufficient lactation and mastitis and sore throat. Lv 3 or Liver 3 is a potent acupressure point that is effective enough to address the problem of how to control anxiety, palpitations and nervousness. This point is found on the top side of the foot, in the webbing between the big and the second toes. This point can be activated on both feet by pressing the point using the index finger for 1 minute. It helps to pacify stress, anxiety and worry, promote relaxation and tonify the liver and facilitate Qi flow. It is also useful for the treatment of high blood pressure, lower back pain, PMS symptoms, eye problems, insomnia and male impotence. 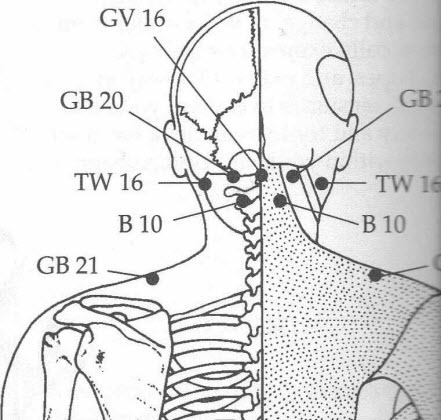 Acupressure point GB 13 or Gall Bladder 13 is yet another helpful pressure point for anxiety and nervousness relief. It is called the Mind Root, and its location is one palm width inside the hairline from the outer edge of the eyebrow. This point can be stimulated on both sides of the head by pressing the points using the fingers for 1 minute. It helps to calm the mind and relieve anxiety. It is a local point for headache cure that is also used to heal neck pain and stiffness, dizziness and epilepsy. 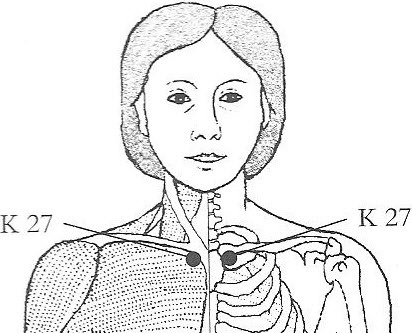 Last but not the least is acupressure point K 27 or Kidney 27 which is an extremely popular acupressure point for treating various types of diseases and health issues. This point is called the Shu Mansion, and it is situated under the collarbone in the hollow adjacent to the breastbone. 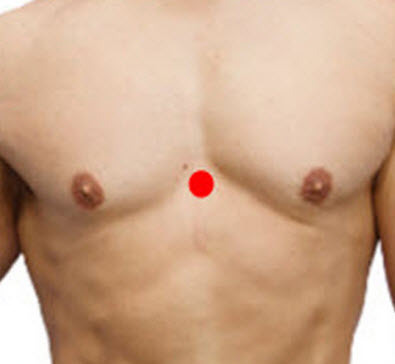 This point can be activated on both sides of the body by applying light, but firm pressure on the points suing the tip of the index and middle fingers for 1 minute while breathing deeply. It helps to cure headaches due to mental strain, fatigue, anxiety, palpitations, irritability, and disorientation. It also helps to relieve chest congestion, sore throat, chest pain, thyroid gland irregularities, and coughing. 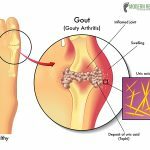 So, now that you know the precise acupressure points for relieving palpitations, anxiety and nervousness, stimulate them to relax your senses and calm your mind and body. Thanks for appreciating and following our work.